Come see 309 Revolutionary Road it the Yorktown neighborhood. 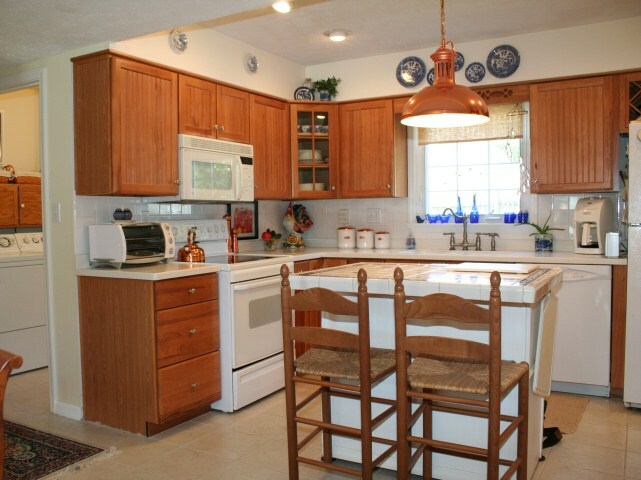 This home has been well maintained and modernized over the years. This home is not currently listed. 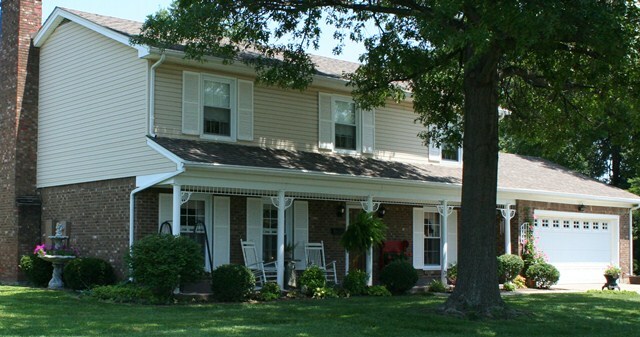 Contact the Hollinden Team about this home’s history and other houses in the area. The first floor has been opened by removing the wall between the living room and family room making it quite spacious. The fireplace mantel was added and dates back to the late 1880's. From the family room, you exit onto a patio under a trellis to enjoy the garden paradise in the backyard. 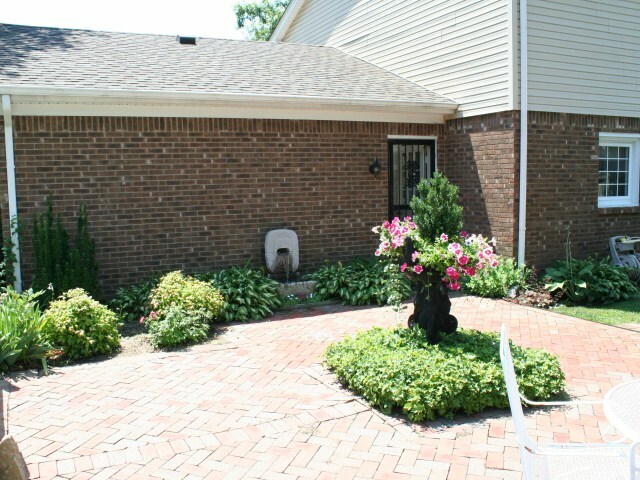 To the left we have a raised garden and there is another more elaborate brick patio to the right. The kitchen and formal dining area have been merged and form a great gathering area. The island is a nice place for eating and gives more workspace for the cook. Upstairs you will find 4 good sized bedrooms including the master. Closet space here is more than adequate and will surprise you. The curb appeal is picture perfect. It is not often that you see a front porch that is 40 foot long with plenty of mature shade, to relax and chat with the neighbors in the front yard. Come see why the present owners have made this home for 20 years. Give The Hollinden Team a call to see this fine home. 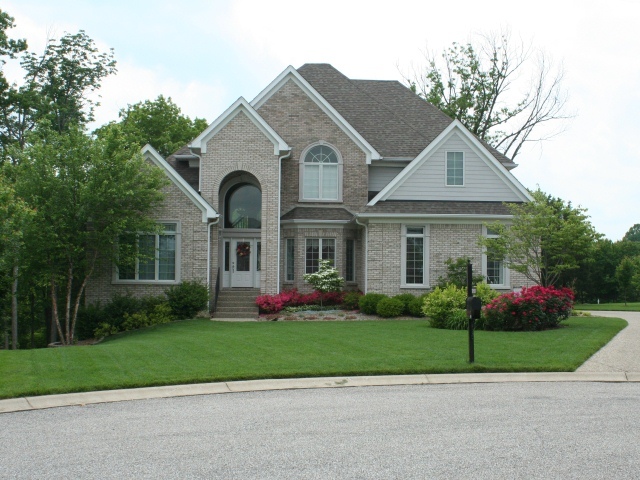 Welcome to 4320 Lochridge Pkwy in Watterson Woods! 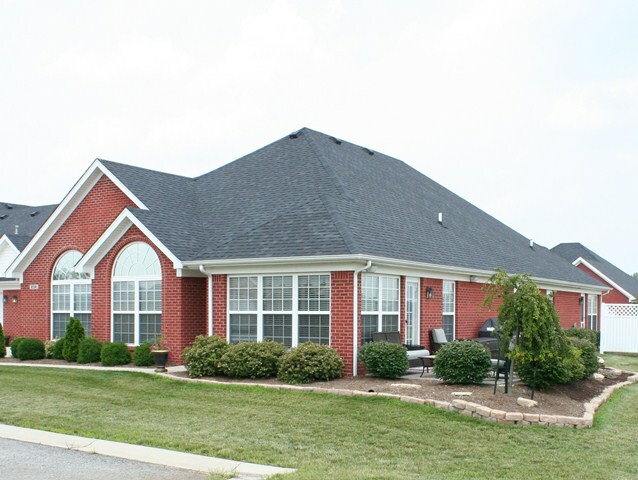 You will find that this is one of the largest homes in the neighborhood, and has one of the largest lots at .35 acres. As you enter the home through the great room, your eyes move towards the wood burning fireplace and vaulted ceiling. The house then flows into the modern eat-in kitchen with a gas range. The family room is more than abundant and at the present time has a billiard table as the focal point. Being fitness oriented, the sellers have a room dedicated to a home gym. The large master is conveniently located on the first floor. The master bath has room to spare with a double vanity. 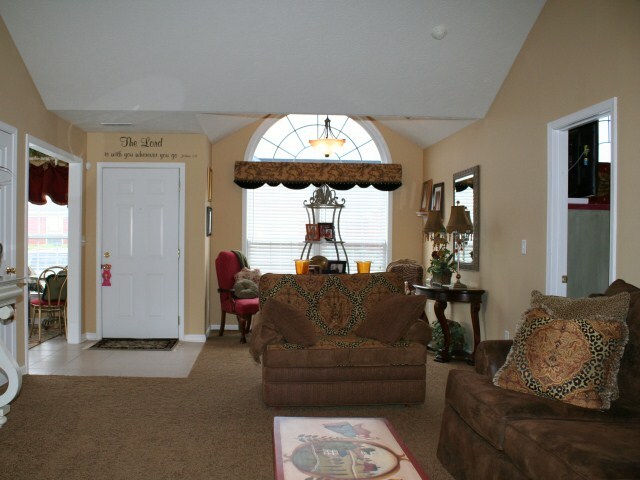 Three good sized bedrooms are located upstairs and there is a centrally located full bathroom. The end bedroom is special as it features its own half bath. The rear yard is quite unique and consists of 2 parts with Stony Brook Creek separating the two. The front part has a chain link fence and the rear part has a wood fence. A wooden walkway gives you access year around. 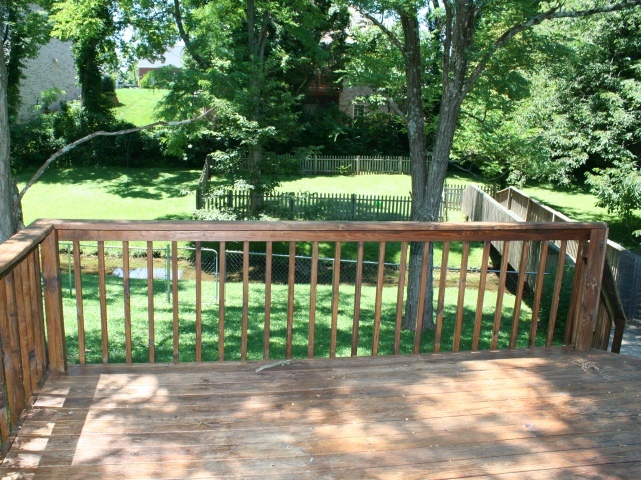 The large deck looks over the back yard and is a great place to relax and listen to the bubbling creek. You will find plenty of parking here with the conventional garage plus a circular driveway. The home gym and pool table are personal items of the seller. They are available for sale separately. We have decided to sell our personal home and move on to the next adventure! 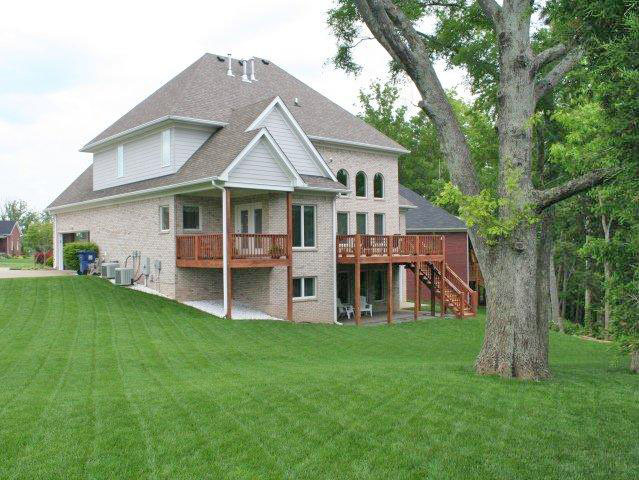 We have done a lot of work to this home in Glenmary Estates and it shows! When you enter, you will instantly notice the gleaming hardwoods which cover the ground level, muted but attractive colors as well as upgraded, superior millwork which you will see throughout the rest of the home. The dining room to the right is totally open with elegant columns providing needed support. Ahead a few steps and to your right, you will notice the gorgeous hearth room/kitchen with granite tops, custom maple cabinets, a full-sized stainless hood, premium stainless appliances (including an Advantium oven), island with beverage cooler and beautiful tile backsplashes. No effort or expense was spared here! The hearth room is totally open to the kitchen, and just adjacent to the eat-in area. Hearth and great rooms share a see-though gas fireplace. The great room offers 18-foot ceilings, spectacular views of the wooded rear lawn through a massive wall of windows, and gracious space for entertaining or simply relaxing. There are TWO decks off this area – one accessible through the eat-in area (covered to protect you from the sun or weather), and the other from the hearth room. There is also a “back” staircase to the upper level in the hearth room – this is a unique but very functional design. At the opposite side of the home is the master suite, with vaulted ceilings, bath featuring ceramic flooring, double vanity, stand-up shower and jetted tub. The basement features 1500 additional feet of meticulously-finished space, offering an arched double-door transom, media room, bedroom, full bath, second family room with triple full-sized windows and views of the woods. The basement also houses a nice workshop (with overhead door if you want to store your golf cart here), and offers crown molding, chair rails, bead-board/wainscoting, storage room and flooring of both ceramic and carpet. Outside, there’s a large patio below the main deck upstairs. In addition to all of this, the home has a totally-renovated half-acre lawn with full irrigation, dual high-efficiency heating/cooling systems, extensive landscaping and a cul-de-sac lot which is wooded in the rear. Everything on this home is done with superior quality. There are literally too many features to mention! 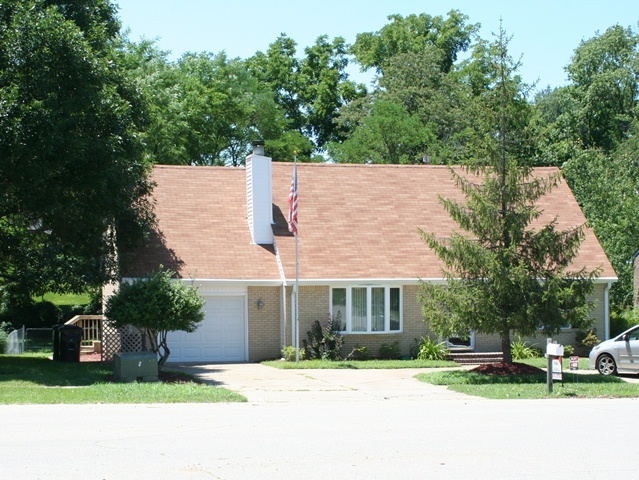 Utility bills, lot map, and video of home are available. Owner/Agent. For more details on this home, you can contact Tim Hollinden with RE/MAX Champions at The Hollinden Team.